A modern tech flannel inspired by the classic pearl-snap shirt, the Hayden Shirt is a winter-weight layer that goes just about anywhere, and looks good doing it. Old school plaid style in a modern technical fabric, the Hayden Shirt was born for the multi-faceted mountain town life. 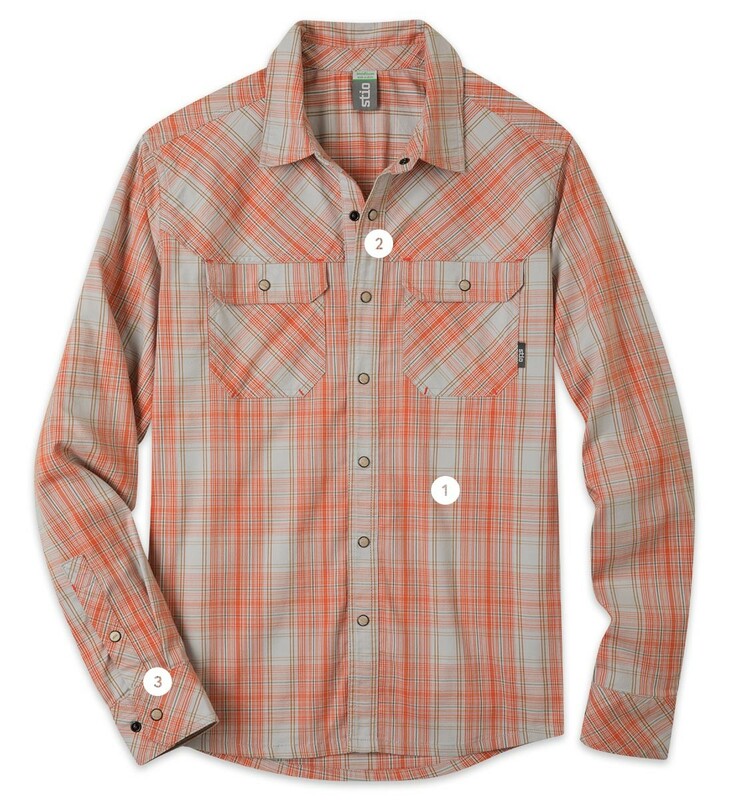 Perfect for mornings on the river, firewood stacking sessions or a bite downtown after it's all said and done, this durable cotton-poly shirt traps warmth on chilly days thanks to its brushed interior, and its smooth face layers easily under your ski shell or waders. Custom pearl snaps give the shirt some old school western flavor. Our 70% cotton 30% polyester brushed flannel is a highly durable and breathable fabric that offers moisture management and exceptional comfort in a custom yarn dye pattern. Featuring brushed cotton on the exterior for softness and wicking on the interior, it is technical and comfortable and an ideal wash-and-wear fabric. Center back length, 29 1/2"
Our ultra-comfy, winter-weight tech flannel. Featured in "Four of The Best Technical Flannel Shirts for Men"